To make the best decisions that will help you achieve your academic and career goals, you need good information. What courses should I take? In what sequence? How to choose my major? How best to fit a semester abroad into my schedule? Which internship opportunity would be more beneficial? Which research opportunity should I pursue? The student has the final responsibility for making informed decisions. But it is the responsibility of the School of Arts and Sciences and all of its departments to make sure our students have access to the best available information to help them decide what path to follow. We take that responsibility very seriously. 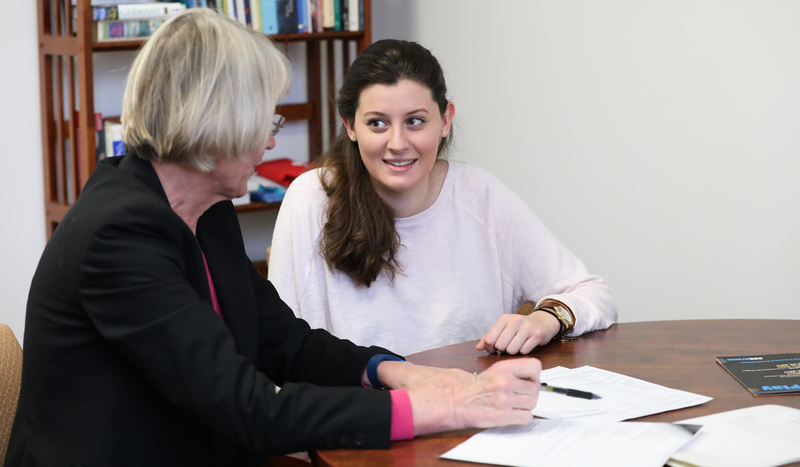 Even before arriving on campus, first-year students are assigned an advisor through the University Advising Center. After they choose a major, students are assigned an official adviser by their department who will assist them during registration periods and be available throughout the year. He or she can provide information about courses each semester and help in constructing a schedule that meets each student's goals as well as departmental and school requirements. The dean's staff, including the assistant and associate deans also are available to discuss students' goals and programs. We encourage students to use all available academic resources, including advisers, deans, faculty members, the Advising Center, the Counseling Center, Career Services, and offices in the Division of Student Life, to obtain the maximum benefit from their undergraduate years at Catholic Univer­sity. When you choose a major department, you will be assigned an official adviser by that department.